Being the frizzy-haired tomboy with buck teeth gave me a slight case of shyness as a kid. A colorful imagination meant escape and adventure at the drop of a hat. Over the years I learned that the insecurities I carried around were a waste of time. I still prefer a football game to a manicure any day of the week. 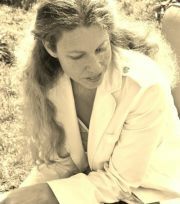 That indispensable imagination has found its way into my writing providing a sense of joy and a true purpose. 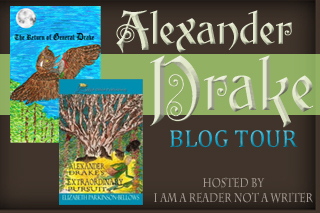 Meet Alexander Drake, a curious young man living in a drab, oversized mansion with his secretive father. He spent his days playing alone. In the back of his mind he wondered what happened to his mother, and why his father was tight-lipped about the past; but secrets have a way of getting out. It all started with a stay at his grandmother’s cottage. Alexander found strange clues tucked away in his father’s old bedroom. With a mysterious key and several maps in his pack he set off on an innocent search for answers about his family. When he discovered a secret passageway the search took a dramatic turn. He suddenly worried about what was searching for him. 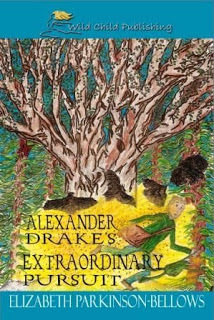 Alexander was being hunted by a sorcerer from his father’s past. Answers lead to more questions and the journey of his life. Join Alexander for a thrilling adventure in Azra’s Pith, a place of beauty and magic… but beware—something evil lurks in the shadows. Hang on tight! The General is returning to Azra’s Pith for one last adventure. With a battle looming and his son, Alexander walking into a trap deep in the mountains… it is going to be a bumpy ride. 1. Hello, Elizabeth! Can you tell us something about you and your books? Hello! Thank you so much for having me. I’m a busy mom of three rambunctious little ones (ages seven and under), an avid coffee drinker, and a writer of children’s fantasy stories. The Azra’s pith series is almost complete. Book 3, “The Butterfly Curse” is in its final stages and I have another series in the works. Book 1, “The Bandits of Basswood” should be out by the end of May. 2. When did you decide that you wanted to be a writer? 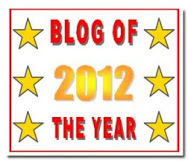 Shortly after my son was born I got the itch to write. My intention was to create stories to read to him. The Azra’s Pith Series evolved from there. The ideas just keep flowing. 3. Where do you find your inspiration for your novels? (If it’s not a secret) Have you ever found it in your real life? Most of my inspiration comes from my own childhood. I was pretty adventurous as a kid and spent many summers outside with no shoes running wild. I relied a lot on my imagination for entertainment. It never failed me. 4. Do any of your fictional character resemble you? Alexander is a loose representation of me as a kid. He is awkward and shy. He also has a huge imagination and is extremely curious. 5. What book is the first one that you remember reading? Well, the first book I remember was “Green Eggs and Ham”. The first book I fell in love with was “The Lion, the Witch, and the Wardrobe” by C.S. Lewis. 6. Do you have a favorite book? 7. If you were about to leave on a trip which book would you take with you? “The Hobbit” – It is just long enough. I never get tired of Tolkien. I could read his books a thousand times over and still love them just the same. 8. Tell us one thing you’d like to change about people from nowadays. Oh my, that is tough. I try to focus on my own journey. Being critical of others can weigh on one’s energy. Life is fleeting; my only advice would be to absorb the precious moments we are given. Spend more time smiling. 9. Is there a moment in your life you’d like to live again? Every day I spend with my kids I wish would last forever. Aside from that I do my best to enjoy the journey. My writing is a significant part of that. 10. 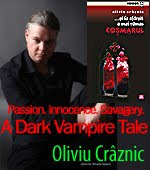 Do you have a message for Romanian readers? Why would you recommend your book? Thank you for taking the time to read this interview. I have had a lot of fun with it! The Azra’s Pith series is for adventurers and dreamers. The underlying theme is courage, and friendship. Of course, a little magic and dark sorcery always adds just the right amount of intrigue…. Destine la limita la Editura Epica!